Selling a home in Fountain, CO comes with its own unique challenges. You’ll need to handle the paperwork, determine a proper selling point, and market the home to the right buyers. It’s all so time consuming and costly. Purple Mountain Holdings is your one-stop, locally-owned business for buying and selling homes. We will make you a fair offer on your property today! No one likes getting their house ready to sell, cleaning up for multiple showings, negotiating with picky buyers, trying to do repairs in order to sell, and waiting through the lengthy process of inspections, appraisals, lender approvals, and hoping all the puzzles pieces fall in place to close on time. With a fair price CASH offer, we can remove all the stress of selling your house without the wait. You can fill out a contact form, then meet with our expert team. We’ll make you an offer on your home in ‘As-is’ condition, and can close in as little as 2 days! It’s that easy! If your home has recently flooded or been through the ringer with a serious kitchen fire, then consider your options carefully. You could pay for extensive repairs, renovations, and remodeling work to resolve all the damage. Or, you could sell your home and upgrade to a bigger house for the whole family to enjoy. We know which one we would choose. However, this is your home. If you want to keep it, that’s totally fine. If you wish to sell, however, Sell My House Today will give you the best offer possible for your house. We can look past any and all water or fire damage to see the potential within the property itself. Our team of contractors are fully equipped and trained to repair all types of property damage. In purchasing your home, we are investing in the neighborhood. If you feel your home is ugly or outdated, then perhaps it is time to sell the old property and upgrade to something flashy and new. Perhaps you need a second floor to accommodate a growing family. Or, even better, perhaps you want more yard space for pets to enjoy playtime. Either way, you need to do something about your ugly house now. If you wish to sell on the housing market, you will likely find that most prospective buyers and real estate agents request significant updates and repair work to be completed before the sale. It would cost you quite a bit of money. Your other option is to call Sell My House Today. Within 24 hours, we will offer you cash for your home. 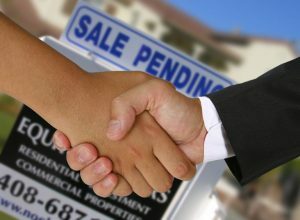 We assess your property, the neighborhood, and your goals to provide you with a reasonable offer. No matter the condition of your old home, we’ll buy it from you! Fountain is a unique homestead town. Families here enjoy a beautiful view of Pikes Peak, and our region boasts the top recreation parks and trails in the surrounding area. With an all-American charm and a growing economy, Fountain is the place to be this year! If you’re interested in selling your home in Fountain, CO, contact Purple Mountain Holdings by calling (719) 476-2727 today. We’ll get started right away so you can sell your house the easy way! We buy houses in the entire Fountain, CO 80817, 80911, 80925.